Sign us up for a table. Irritated that your spouse or date won’t stop checking his or her phone at the dinner table? mEAT Bar & Grill, a restaurant in the UK, is here to help. Located off of Clytha Park Road in Newport, mEat Bar & Grill hosts a “tech-free date night” every Thursday. 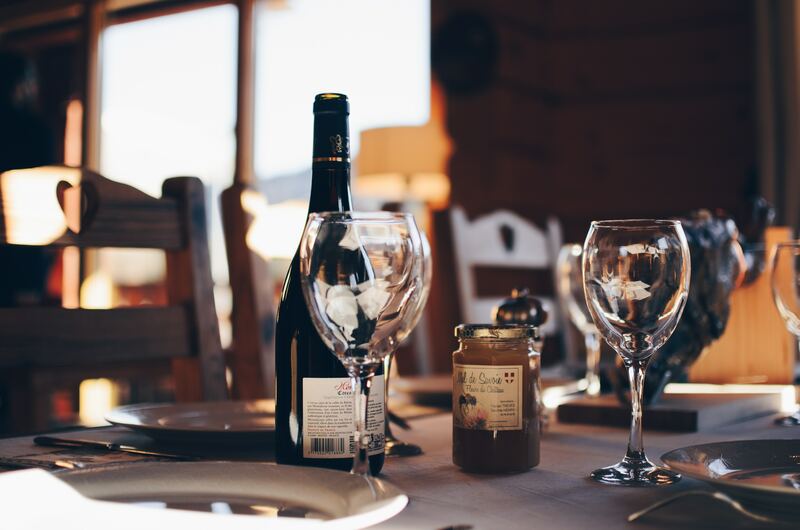 According to the South Wales Argus, the phone-free evening was created by the restaurant’s owners Dave and Christa Roberts after they had issues getting their son to put his phone down at the dinner table. The goal is to encourage face-to-face conversation and eliminate “phone snubbing,” as restaurant goers place their phones in a paper bag when they reach their table. This might seem a little overwhelming for a first date (nothing like uninterrupted one-on-one time with someone you’re just getting to know! ), so the restaurant also provides each table with a list of fun and engaging questions for diners to ask each other while they eat. An example of the questions provided for diners at mEat Bar & Grill. mEat isn’t the first restaurant to issue push for tech-free dining though. Many restaurants are now taking action to encourage diners to put down their phones and actually pay to attention to the people they’re sitting with. For example, Sarah’s Corner Cafe in Pennsylvania gained attention when it began giving parties of 4 or more a 10 percent discount if they could make it through the meal without using their phones. When you can’t get through a romantic meal without checking your phone, you know there’s a problem. The growing trend of restaurants encouraging patrons to unplug at the door is a good reminder that there’s a time and a place for tech—and it’s not at the dinner table. Read more about tech-free date night in the South Wales Argus.